Talk about government cheese! The feds have announced a plan to buy 11 million pounds of cheese and distribute it to food banks and charity organizations. The cost of this plan is valued at $20 million and is billed to help US dairy farmers as well. The nation’s biggest crisis is coming to an end. Yes, it’s true: the nightmare of the cheese surplus may be solved, thanks to the US Department of Agriculture. 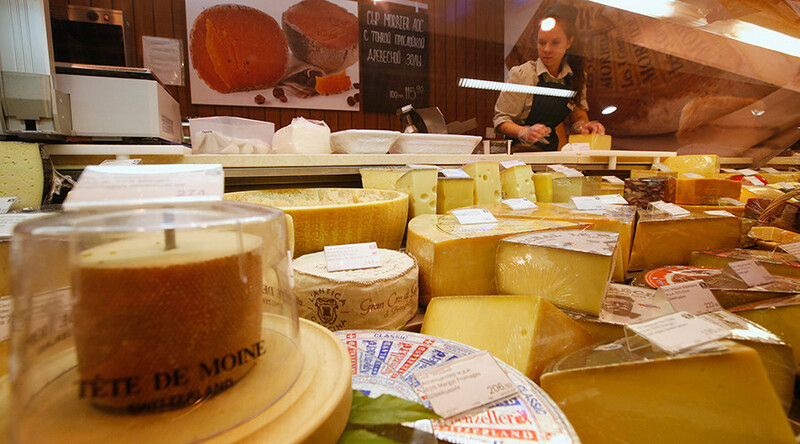 Their answer was extremely simple: just buy cheese – and so they did. The cheese surplus hit a 30-year high in 2016, which was bad news for dairy farmers. The American Farm Bureau Federation and a coalition of lawmakers approached the USDA on Tuesday to seek assistance. Dairy farmers have been struggling with milk prices hitting a seven-year low, and 2015 alone saw the loss of 1,225 dairy farms, according to the American Farm Bureau Federation. As a result, the USDA now owns a lot of cheese - $20 million worth, in fact. They plan on taking all of that sweet, sweet cheese and placing it in “private inventories.” While that may conjure images of a secretive cheese chamber below Washington, DC, the USDA is referring to donating the dairy to food banks and nutrition assistance programs. Agriculture Secretary Tom Vilsack said in a press release that the purchase is “part of a robust, comprehensive safety net that will help reduce a cheese surplus that is at a 30-year high while, at the same time, moving a high-protein food to the tables of those most in need. USDA will continue to look for ways within its authorities to tackle food insecurity and provide for added stability in the marketplace." Whether the USDA will also buy 11 million pounds of Lactaid has yet to be seen.